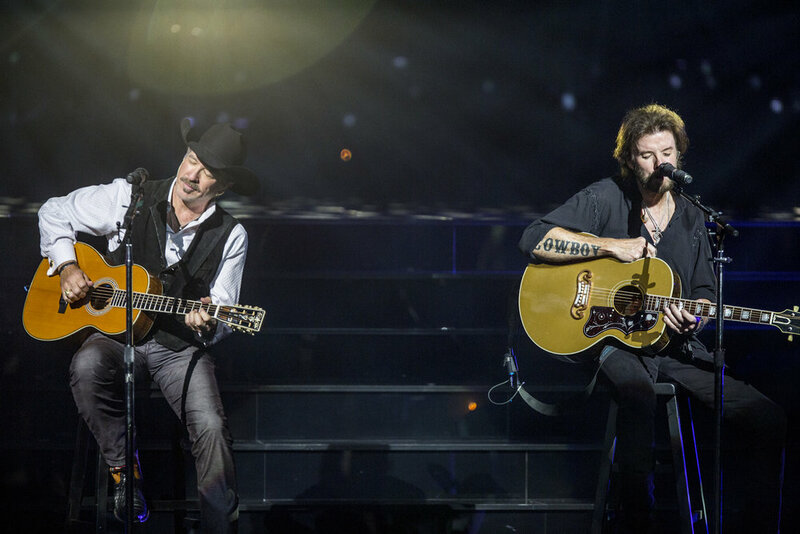 Last night, country music powerhouses Reba, Kix Brooks and Ronnie Dunn reunited onstage to premiere their new, one-of-a-kind residency, REBA, BROOKS & DUNN: Together in Vegas at The Colosseum at Caesars Palace to multiple standing ovations and a sold-out crowd. The superstar entertainers brought a unique pairing of their biggest hits and exciting collaborations. 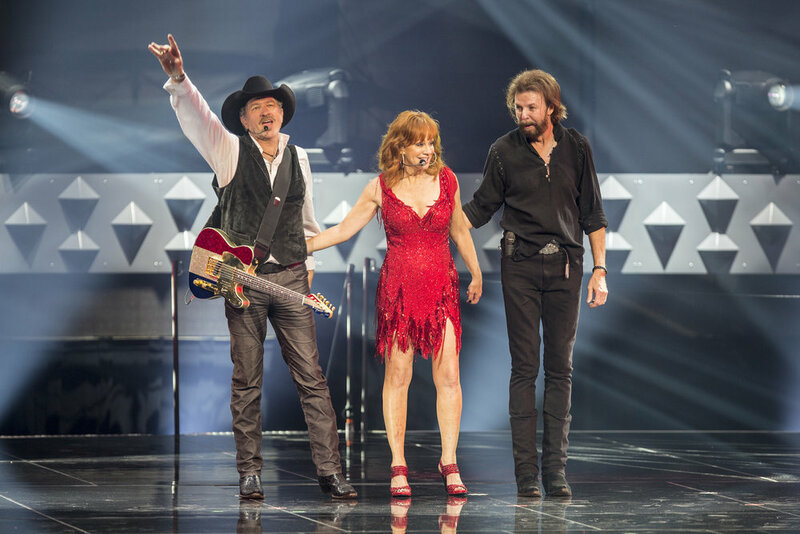 Presented jointly by Caesars Entertainment and AEG Live, the show is a culmination of the friendship and musical admiration Reba, Brooks & Dunn have shared since first touring together in 1993. The two-hour production features more than 30 action-packed hits backed by a band of 10 players from both of their touring bands. The set includes solo and joint performances of their signature tracks including “Fancy,” “My Maria” and “Cowgirls Don’t Cry,” as well as many surprises. Tickets for upcoming performances of REBA, BROOKS & DUNN: Together in Vegas may be purchased in person at The Colosseum at Caesars Palace Box Office, by calling 866-320-9763 or online at thecolosseum.com or axs.com. Orders are subject to additional service charges and fees. Ticket prices are $205/ $155/ $105/ $85/ $59.50 (prices include 10% Live Entertainment Tax). For groups of 10 or more, call 866-574-3851. All shows are scheduled for 7:30 p.m.